Budi, YF1AR will be active from Java Island (IOTA OC-021) 5 - 7 September 2014 as YF1AR/P. He will focus on 80 and 40m bands. 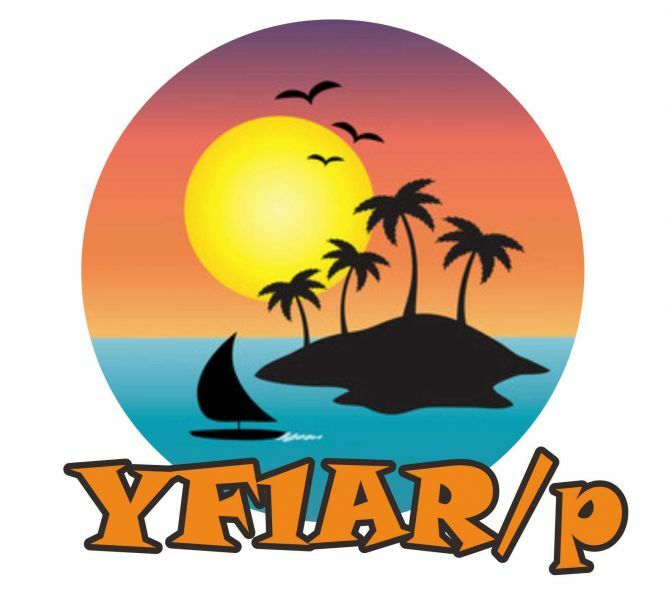 QSL via YF1AR OQRS or via N2OO. Java Island: More than Just a Part of Indonesia. Java Island is a small island in Indonesia. It's approximately 49,536 square miles total. Java acts as Indonesia's cultural and economic center. Java itself does not have a capital, but the capital of Indonesia, Jakarta, one of the most densely populated cities in the world, is located on Java Island. While taking up only 7% of Indonesia's land area, Java Island is home to 120 million people, two thirds of Indonesian's entire population. The official religion on Java Island is Islam. 85% of people living in Indonesia practice Islam, but Christianity holds a scattered 10%. Hindus and Buddhists make up the final 5%. The official language is Bahasa Indonesia, but one can expect to hear many different dialects and languages on Java Island, seeing as there are 750 languages spoken between the 18,000 island of Indonesia. People started migrating to Indonesia about 5000 years ago. Many different people inhabited Java, including the Sailendra dynasty (Buddhist) and the Sanjayas (Hindu). Marco Polo would find the island in the fourteenth century, Arabs would introduce Islam in the fifteenth and sixteenth century, and by the late eighteenth century, and Indonesia would be under dutch control. The Japanese would invade the Dutch East Indies in 1942, and Indonesia would declare independence in 1945. A democracy was formed in 1988. Air travel: Most major airlines offer flights to Java Island. Java Island also has domestic flights to aid people getting around the island, but domestic flights are not suggested as other modes of transport are often easier. Train: Java's train service runs across the Island and conveniently hooks up with the ferries for both Bali and Sumatra. Timetables are available online, and it is best to select a train that begins at your destination, as seats on through trains can be difficult to come by. They offer economy class (cheap, slow, crowded) that cannot be booked in advance, express trains, which house the business class and have many modern comforts, and luxury trains that are faster and include business services, food, and reclining chairs. Car: Driving in Java can be treacherous. There is often heavy traffic in all big cities and accidents are expensive in terms of payoffs or lawsuits. Cars can be hired, as well as cars with drivers. This is more often recommended than driving yourself, even though it is more pricey. Bus: Buses are the most popular transport in Java. The classes range the same as the trains, and you should not have to wait more than 30 minutes for a bus. For lower classes, you purchase your ticket on the bus. For higher classes, you can prebook. Boats: Ferries are a great way to go from island to island and find excursions for your vacation. There are many dishes unique to Java Island and Indonesia. They use fresh raw ingredients. A favorite is Lengko Rice, made from white rice, fried tahu and tempe (made from soybeans), cucumber, boiled bean sprouts, chives leaves, peanut sauce, fried onions, and sweet ketchup. Another favorite is Karedok. Ingredients include cucumber, bean sprouts, cabbage, long green beans, basil, and eggplant. A sauce is made from red chili, peanut, garlic, tamarind water, kencur (resembles ginger), and salt and a paste made of shrimp or fish. School on Java Island is compulsory for 9 years. Most primary schools are government controlled, with optional play groups for children as young as 3. Islam education is also offered as an alternative to primary school. Middle school, a 3 year program, serves to begin determining a future path for children. Secondary school offers a track for those who want to attend university, but a separate track for those looking to immediately enter the workforce. The Islamic alternative is still available for those who wish to attend. There are many different types of traditional music on Java Island. Gamelan music is the most well known and popular. It is a mix of percussion with bronze keys, drums, flutes, and other instruments. Each region of Java, East, West and Central, has its own genre of music. Instruments that are common in all music are large bronze gongs, and wooden sound boxes with bronze keys (known as demung, saron, and peking). There is not a standard scale for music in Java, and both scales they use differ from Western scales. The temperature in Java ranges from 23C (74 F) to about 31 C (80 F). There is high humidity year round. April to October is considered their rainy season, and it is encouraged to visit during their dry season as the weather is more pleasant and roads more passable. Your trip to Java Island would not be complete without a trip to the Botanical Gardens in Bogor. The plants in animals on Java Island are very similar to those found in Asia, as Indonesia was once part of the larger continent. Though Java Island also has plants unique to the island. There are six national parks, and vegetation ranges from rich tropical rain forests to deciduous forests. A few of the exciting animals to be found on the Island are the panther and the Javanese Rhinoceros. Java Island is not known worldwide for many sports; however, Susi Susanti (from Java Island) won gold metals for Indonesia in Badminton in the 1992 and 1996 Olympics. Her husband, Alan Budikusuma also won a Badminton gold metal at the 1996 Olympics. Amanjiwo (peaceful soul) is located in Central Java. 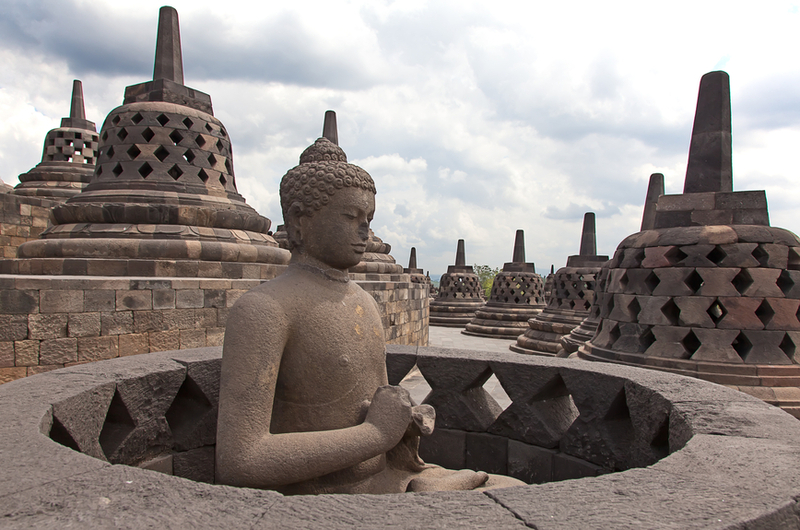 The view includes at least 4 volcanoes and a gorgeous view of Borobudur, the world's largest buddhist sanctuary. They offer 36 suites, a swimming pool, and classy architecture like high ceilings and domed roofs. All suites come with an outdoor lounge area and day bed. The Mandarin Oriental in Jakarta offers rooms for couples, families, and corporate needs. Rooms are luxuriously furnished and come with the option of a king or twin bed. Located in the capital city, it offers the benefit of being in a central location to experience activities and city life in Java. Java is a definite stop for anyone looking to experience Indonesia. It offers both busy city life and relaxing rural experiences. Between experiencing the beautiful architecture of temples and the exciting views of exotic animals, there is something for everyone on Java Island. Be sure to stop by each region to see the local charm, food and music.